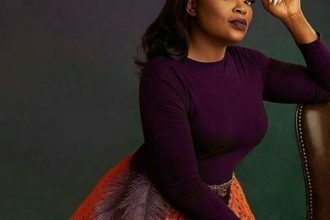 Nollywood Actress, writer and Producer, Funke Akindele-Bello, popularly known as “Jenifa” has signed for Keystone Bank Limited, as its official brand ambassador. 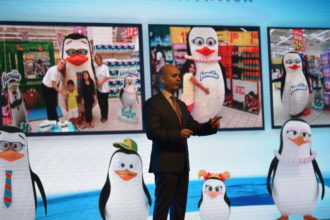 The partnership will see the multiple award winning actress represent the bank and prominently feature in its campaigns while the bank will leverage her popularity to deepen the its appeal to the public and further grow its impression in the market. 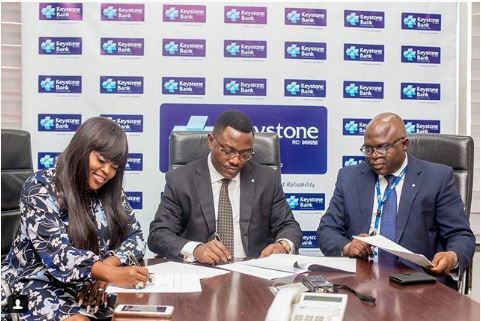 Dr. Obeahon Ohiwerei, Group Managing Director/CEO of Keystone Bank Limited said “the bank will explore every good platform to deepen it’s strength in the retail and youth segment. “The Nigerian entertainment industry is driven largely by SMEs and is growing exponentially, positioning the nation globally and positively impacting our GDP.